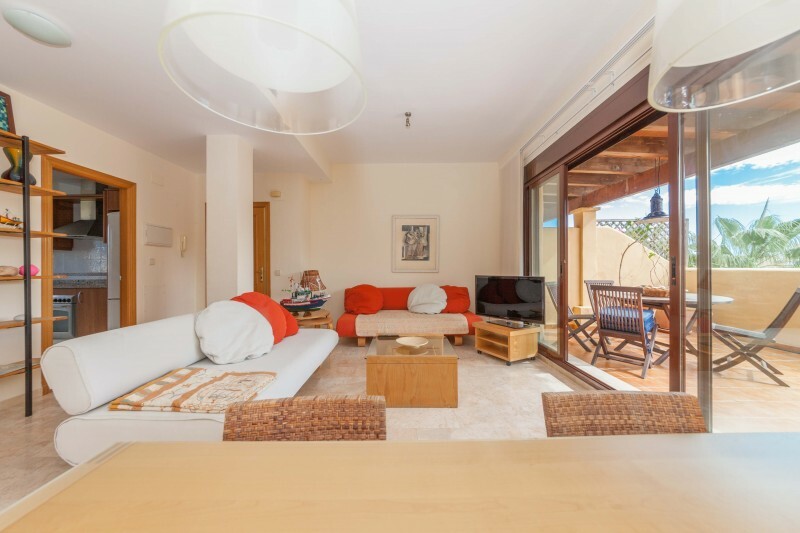 This is an immaculate 2 bedroom (both en suite) penthouse located on the beach between Marbella and Estepona. From here local shops, supermarkets and restaurants are all within walking distance. Both Estepona and Marbella are less than 15 minutes away in the car. This is a perfect location for a holiday home. There is lift access to the apartment from the parking garage and the property features a good sized living room with dining and sitting areas which open to a generous south facing terrace. 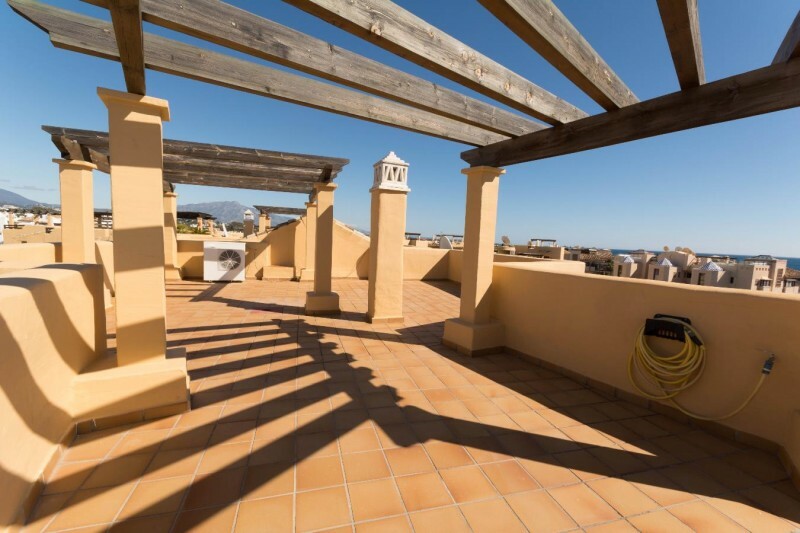 From the second terrace there is a staircase up to a full sized solarium which has lots of space for parties or lazing in the sun and also enjoys amazing views. The kitchen is fully fitted and there is also a laundry area. Both bedrooms have fitted wardrobes and en suite bathrooms. 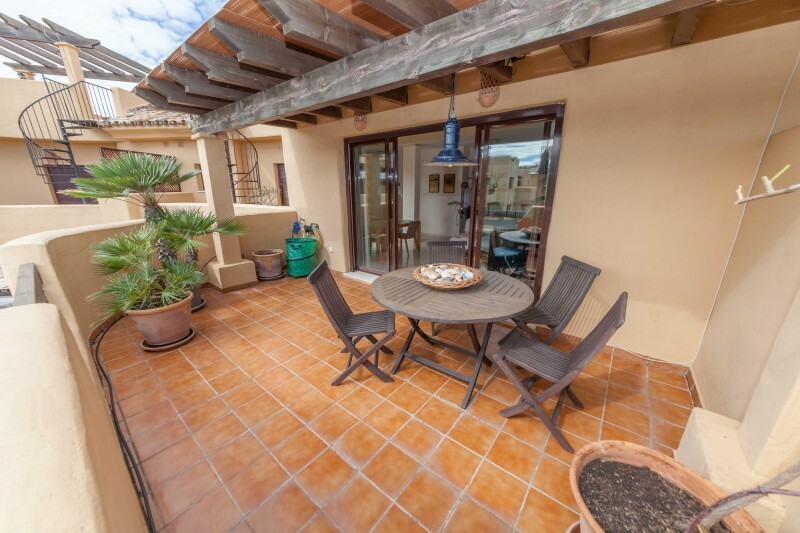 Priced at 349,950 Euros it is well worth coming to have a look at this penthouse. We have keys so we can show you at any time. If you would like more information or an appointment to view just click the Request information button and we will get straight back to you.